How will the Exomars rover communicate back to Earth? 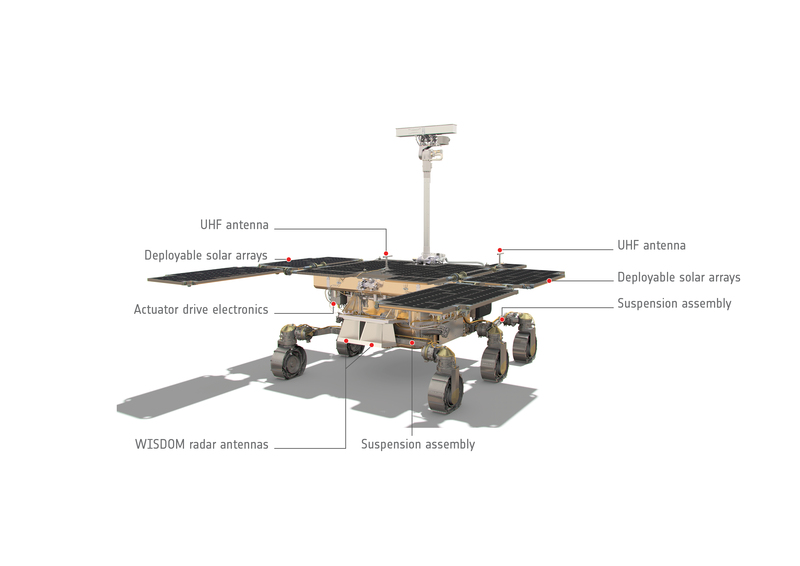 I see here that the Exomars rover has only two UHF monopole antennas. Two UHF monopole antennas are used to communicate with Mars orbiters, including the Trace Gas Orbiter. Does it mean that it will always need an orbiter around to communicate with Earth? (I see that NASA Rover has a high-gain antenna to communicate with Earth, in addition to the UHF). Being monopole antennas omnidirectional, does the rover need to orient these antennas to communicate with the orbiter or does it just need to have the orbiter above the horizon to communicate with it? Yes, it always needs an orbiter to communicate with Earth. The ExoMars Trace Gas Orbiter, part of the 2016 ExoMars mission, will support communications. The Rover Operations Control Centre (ROCC) will be located in Turin, Italy. The ROCC will monitor and control the ExoMars rover operations. Commands to the Rover will be transmitted through the Orbiter and the ESA space communications network operated at ESA's European Space Operations Centre (ESOC). The plan is to use the ExoMars Trace Gas Orbiter as the relay. TGO's Electra radios use a design from NASA/JPL with special features for relaying data from a rover or stationary lander to an orbiter passing overhead. Relay of information from Mars-surface craft to Mars orbiters, then from Mars orbit to Earth, enables receiving much more data from the surface missions than would otherwise be possible. As an example of Electra capabilities, during a relay session between an Electra on the surface and one on an orbiter, the radios can maximize data volume by actively adjusting the data rate to be slower when the orbiter is near the horizon from the surface robot's perspective, faster when it is overhead. Because TGO's radios are based on a NASA design, I suspect MRO could be used as a comms relay if needed. TGO has already been used as a relay for the NASA rovers on Mars. Not the answer you're looking for? Browse other questions tagged mars communication rovers exomars or ask your own question. How does the contest for naming ExoMars work? Could Schiaparelli's retroreflector array (still) be used? Does variable distance to Mars affect data transmission rates?